Brianna Perry links up with fellow female artist Teyana Taylor. This serves as a leak off her upcoming project, "Symphony No. 9" dropping February 1st. 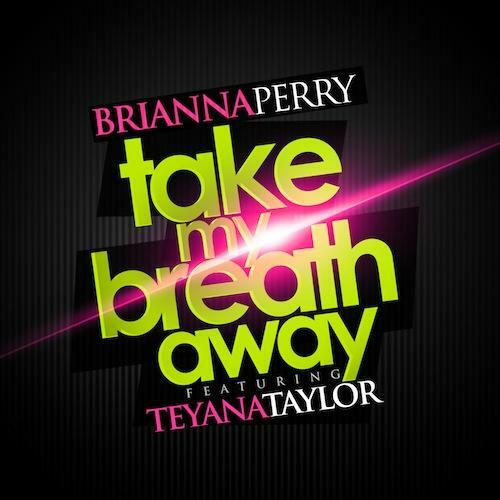 Stream Take My Breath Away, the newest drop from Brianna Perry which features Teyana Taylor. The cut was released on Monday, January 14th, 2013. Brianna Perry continues to impress with each new leak, and Take My Breath Away is no exception. It's strengthens Brianna Perry's already impressive body of work, which has seen positive change over the years. We're most definitely anticipating Brianna Perry's next offering. Check out Brianna Perry on Red Cup, featuring Pusha T. Check out Brianna Perry's profile page for the most recent info, news, songs, and mixtapes. Follow Brianna Perry on Twitter, if you aren't already.